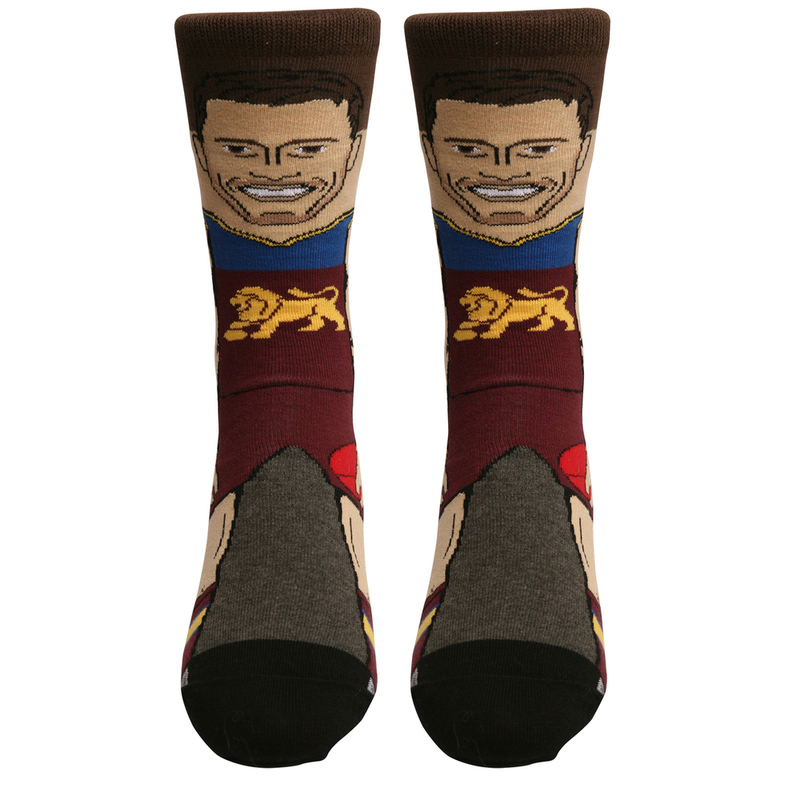 Love the Lions? Love watching Dayne Zorko do his thing? 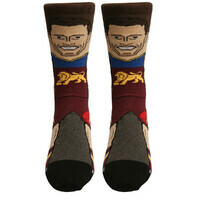 Then be the ultimate fan with a pair of Brisbane Lions Dayne Zorko Youths Nerd Socks ! 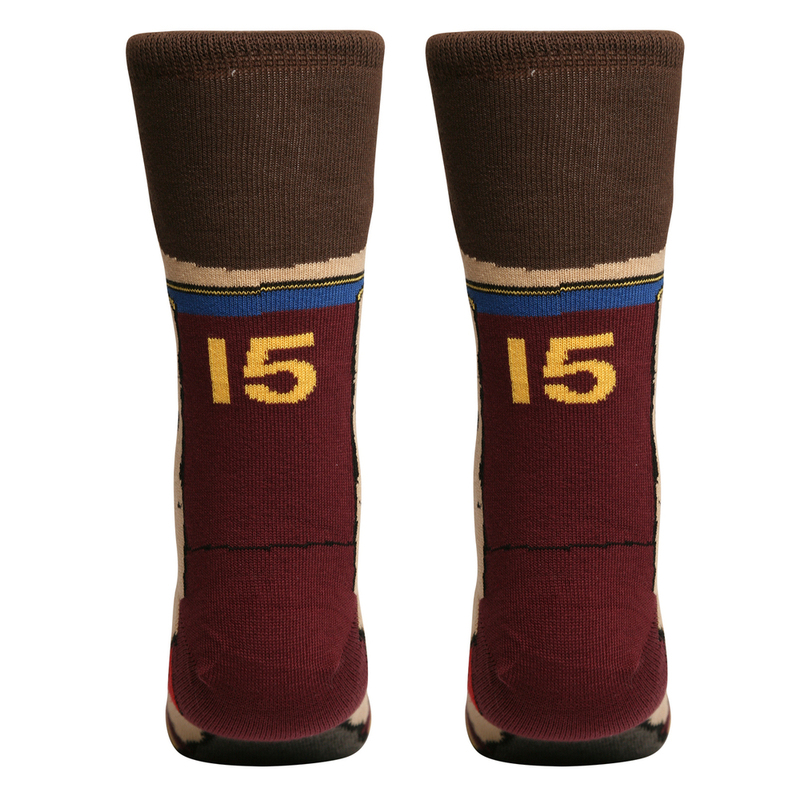 Made from a cotton nylon blend, these socks are nice and comfy, and also have a ribbed elastane hem to hold them in place. 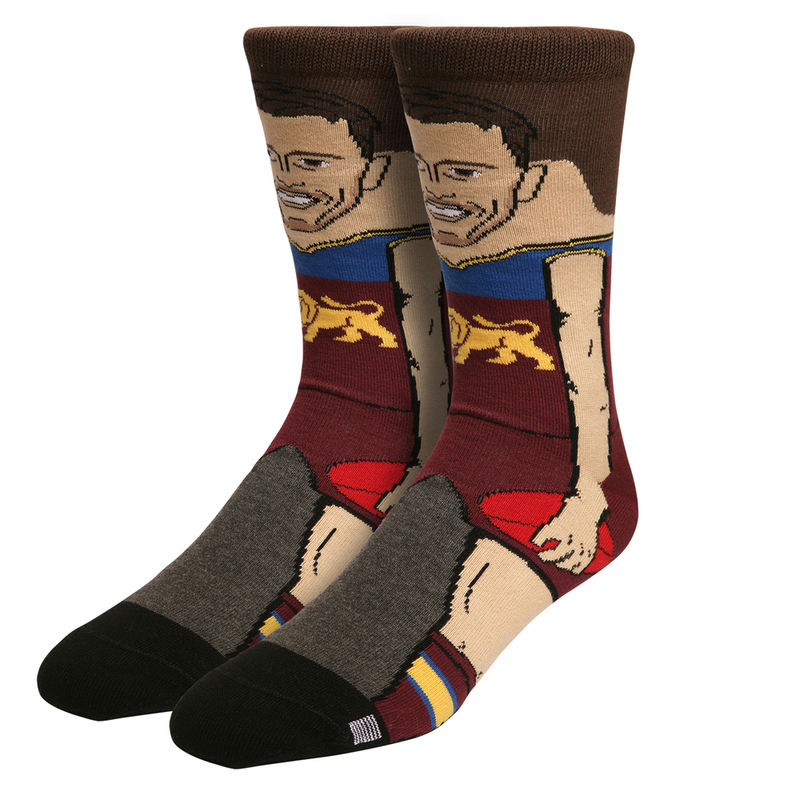 With a unique Nerdy looking Dayne Zorko design, you will be the talking point of the room - whether that be at school, work or at home watching the game. 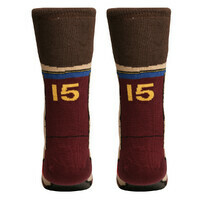 So be the definitive die-hard supporter with a pair of AFL Youths Nerd Socks!